In recent years, PayPal has taken over the world as one of the most popular methods of accepting and receiving payments. Online Keno casinos that accept PayPal as a payment option often draw a large customer base, so it comes as no surprise that the best online casinos are PayPal ready. PayPal is one of the world’s leading payment gateways for nearly any type of purchase. For online shopping and gambling, customers are able to select an option to pay via PayPal; bricks and mortar retailers accept the PayPal debit card which is provided to users free of charge. PayPal users can connect their credit card or banking accounts to their PayPal account for ease of transferring funds. This is very popular with online casinos since players are not required to find their individual credit cards in order to load funds—they enter their email address and password instead. 32 Red is one of the most popular online Keno casinos that accept PayPal. Based in the United Kingdom, this casino is eCOGRA recognized as fair and safe and is also licensed by the government of Gibraltar. 32 Red offers players five different Keno variations from Keno Kick-Off to Jackpot Keno. Each of these games brings a new set of rules and ways to play, but players can rest at ease knowing that they can easily add funds from their PayPal accounts. 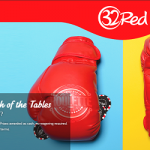 32 Red stands out from the crowd as one of the top PayPal online Keno casinos due to easy-to-use interfaces and stunning graphics. The William Hill Casino is also based out of the United Kingdom and is another great example of online Keno casinos that accept PayPal. William Hill’s Keno varieties are all developed and maintained by Playtech, one of the world’s leading casino software developers. Players visiting William Hill casino online often attest to the beautiful graphics and simple yet realistic gameplay that the software provides. All of this combined with easy deposits and withdrawals made possible by the PayPal interface makes William Hill’s Keno games of the best available on the internet today. BetFair is one of the United Kingdom’s leading online Keno casinos that accept PayPal. 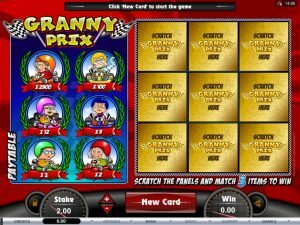 This site offers players a relatively simple-to-use Keno interface in both downloadable and instant play versions, and it is regulated and licensed by the Lotteries and Gaming Authority of Malta. Players are able to conduct their financial transactions easily through the site’s integrated PayPal system—they simply need to input their PayPal email address and password to load funds almost instantaneously. Classic Keno gameplay and the ease of loading money make BetFair one of the best PayPal online Keno casinos available. 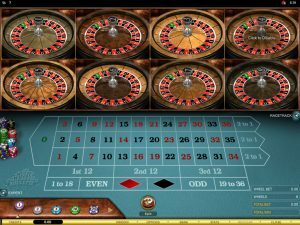 32 Red Casino, William Hill Casino, and BetFair Casino are all increasingly popular online Keno casinos that accept PayPal in the United Kingdom. 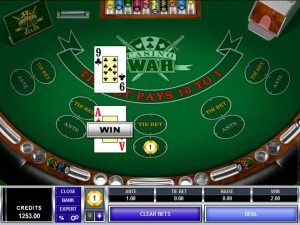 They offer players everything they are looking for in an online casino—fair and fun gameplay with an ease of loading funds that only PayPal can provide.